Offroad Apple White Mini Snus is a mini snus with a pure taste of apple. Portion bags are small and white which makes for the mind of other mini snus like Catch and Mocca. 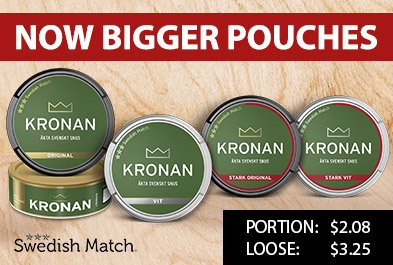 The big difference lies in the flavor, which is emphasized by the clear smell and aroma of the snus. Offroad Apple White mini is less like classic" snus and more like newer types that the producers started experimenting a little more with."